Sold! On to the next project! So happy! 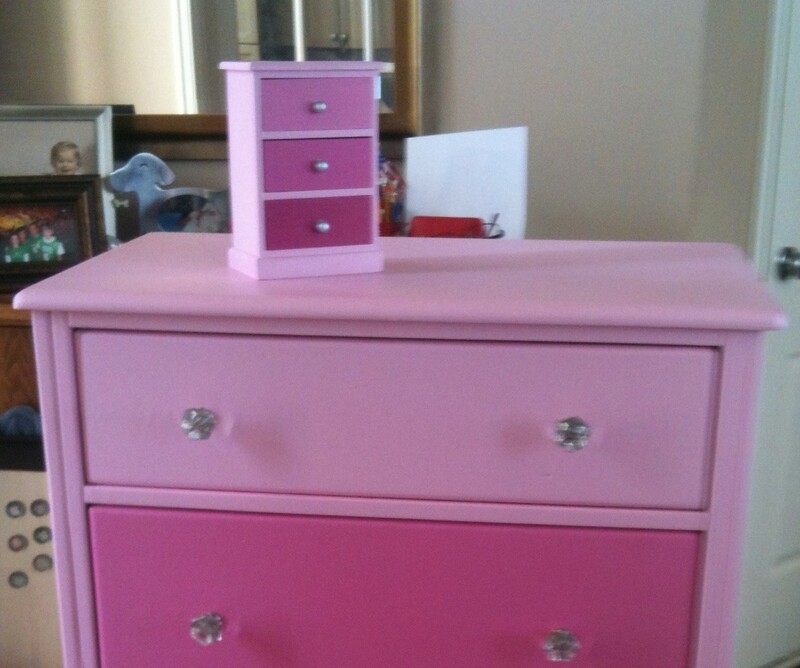 The pink ombre dresser and matching mini-dresser sold in just two days on craigslist! And I made a nice little profit, so I can turn around and create some more beautiful things! I am so happy to know that it is going into a little girl’s room who LOVES pink! Her mom told me that she was very excited about getting the dresser. I love when what I do makes people – especially little people – happy. Thanks for dropping by. Happy Crafting Y’All!